This post is written by Guest Contributor, Terry Houton. If you are also interested in writing a guest blog, please reach out using the form in the Contact page. A few years ago, when I first made the move from my little Kodak to the Nikon D40, it was a little intimidating. I had no formal background in photography whatsoever and absolutely no clue about the ISO, Aperture, Rule of Thirds or any of that technical mumbo jumbo. Fortunately, I had a couple of things going for me that would be a big help in that area. First, I had a background in IT that was somewhat similar in that when I started on that career path I had absolutely no idea what I was doing. As I have frequently done in my life, I threw myself into it with the mindset that I was either going to sink or swim. It's paid my bills for nearly 15 years now so I think I've done OK. Secondly, I had a good friend who I was able to lean on and ask plenty of questions when I needed to do so. Like most people that venture into the DSLR world, the first thing I did was turned the dial to Auto. As you would imagine, that allows you to just turn on your camera and shoot away. The problem with that setting is that it makes all of the decisions for you with speed, light settings, etc. and you won't always get the best shot possible. There are times where the exposure will not be correct because the processor is picking up something like light in the background, dark clothes, etc. and will make your pictures come out under or over exposed. My suggestion to those who are really serious about learning the art of photography is to do what I did and put your nose into books, get on the internet or seek out any endless number of other resources for information regarding ISO, shutter speed, aperture and all of the otherwise techie stuff that will help you shoot better pictures. The last piece of advice that I would give you is to read your camera manual and learn how it works inside and out. It might not be the most thrilling read of your lifetime but it's well worthwhile. It is always confusing to find the book which is the best guideline for us to walk through. This creates more confusion when we are totally new to the field and trying to learn something new however possibly we can. When I bought my first DSLR almost 15 months ago, I didn't bother to get a book as a guideline. I learned many things from internet, went to the forum and asked to the experts. I learned myself by playing around with it and seeing other people's work. I took almost 10,000 photos from my D60 and learned from my mistakes. I wish I could have kept that camera but I had no choice but sell it to upgrade to Nikon D90. When I got Nikon D90, it was not totally foreign to me. What I learned with D60 helped me quickly navigate through it’s control and settings. But given the many added features and options this camera came with, I felt the need of better guide than my past experience with less powerful camera. I wanted to get the best result out of it which force me to search for more detailed and descriptive guide for Nikon D90. Soon after, I started searching on Amazon for a good book. I found quite a few books on Amazon but the top two books based on it’s popularity and review were David Busch's Nikon D90 Guide to Digital SLR Photography and Mastering the Nikon D90. 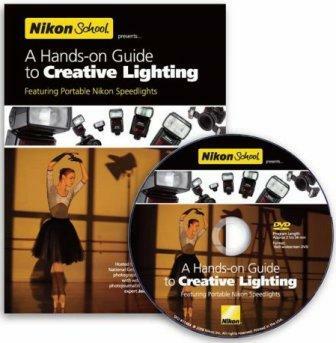 After reading lots of reviews from amazon, I decided to go with David Busch's Nikon D90 Guide to Digital SLR Photography. I am reading this book for a while now and already learned so many new things about DSLR camera that I didn’t know before. This book not only describes about the camera and it's features but also deals with different kind of accessories that fits with the camera. It also talks about various types of lens you can use with camera and it’s pros and cons. Knowing about different kind of lenses is so much important to the beginners. It helps you to get the best possible lens for your photographic genre. I am hoping to learn many more tips and techniques about digital photography and particularly about D90. If you are also reading any book or guide that you find helpful, please do not forget to share with us so that we all can learn from our collective experience. Keep learning and keep shooting!